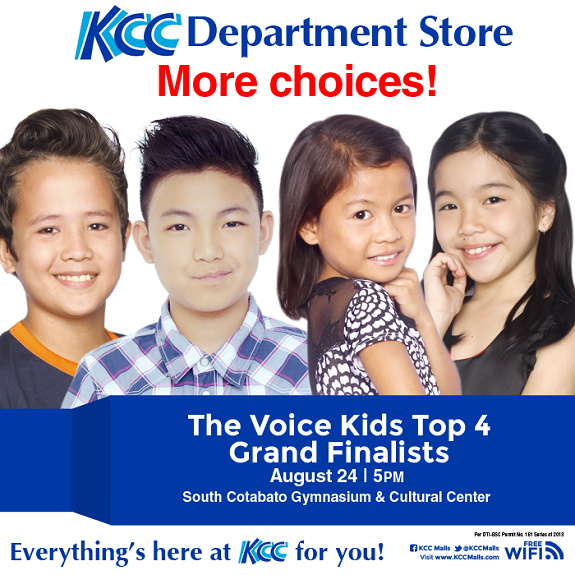 To all fans of The Voice Kids in South Cotabato, here's your chance to meet and see them perform live as KCC Malls brings the top 4 grand finalists namely Lyca, Darren, Juan Karlos & Darlene for a show on August 24, 2014 at the South Cotabato Gymnasium & Cultural Center in Koronadal City. Check out the event poster below. To get FREE tickets, simply shop at KCC Mall of Marbel.